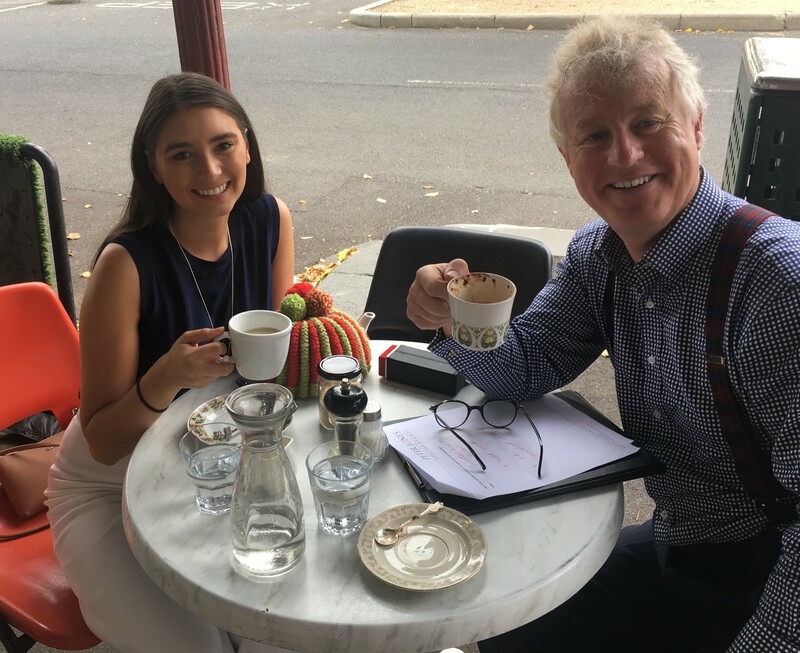 Ashlee first joined the PJSE team on work placement whilst completing her degree in Event Management at William Angliss Institute. Her eagerness and can-do attitude lead her to a permanent role as an Event Coordinator a few months later. Peter sat down with Ash to talk all things events and coffee for this “White with one” – staff edition. I don’t drink coffee. I prefer an English breakfast tea or a hot chocolate. I started out doing a business degree at RMIT and had to do two weeks of an event management subject. After doing that, I decided events were for me and I changed courses to William Angliss. Last year I finished my Bachelor in Event Management. Peter: In your short time at PJSE, what have been some of your highlights so far? Both of them were at the MCG last year. Firstly, BCNA’s Field of Women. Watching 12,500 men and women who were impacted by breast cancer stand together was truly emotional and like nothing I had ever experienced before. And the second was AFL Grand Final Day. Being on the ground and seeing all those fans cheering was fantastic. I don’t even follow football but the roar of the crowd was pretty amazing. Caulfield Cup. I go with a group of friends every year. It’s a great day and it gives me an excuse to buy a new dress. The shopping, the beach and the café scene. Love doing brunch on a weekend! Cafeteria, in Bayside. They do the best scrambled eggs! Peter: Who is your most admired Melburnian? Neale Daniher. His determination and bravery is so inspiring, as he has put a face to MND. He has raised millions of dollars which has gone directly into funding the research in finding a cure. I think people that turn tragedy into triumph are pretty special. Definitely Coachella! Always an amazing lineup and looks like a lot of fun. Peter: Ash, thank you for your time today and all the great work you are doing at PJSE.